My adolescent years were ones in which the soon return of Jesus was imprinted in my mind like an indelible image etched on a printer’s lithography plate. I vividly remember hearing my parents, other family members, pastors and teachers, alike, admonishing me to love Jesus and live according to His Word because Christ’s coming was fast approaching, and He was coming to redeem His followers. Nearly 40 years have passed since these early impressions, and yet, Jesus still has not come. As a minister of the gospel, like those who have preceded me, I have heralded the loud cry to prepare for Christ’s second advent. With passion and urgency, I have cited Jesus’ words in Revelation 22:12, “And, behold, I come quickly and my reward is with me to give every man according as his work shall be.” Moreover, given the frequency and intensity of the cataclysmic occurrences in our world—including wars and rumors of wars, famines, pestilences and earthquakes—further illustrate the imminence of this grand event. Despite the biblical promise of His return, coupled with the physical manifestations pointing to His return, we still eagerly and anxiously await His return. So why the delay? Why are we still here? What’s preventing His coming? Is He really coming, and if so, when? Just prior to His ascension back to heaven, Jesus commissioned His disciples to proclaim the universal gospel message to every man, woman, boy and girl. As followers of Christ, we have been given this divine mandate to globally take the good news of a returning Savior to every human creature on planet Earth. Until this is done, Jesus cannot return, making the delay of His return dependent on us. Put simply, Jesus is not coming anywhere until His gospel goes everywhere! 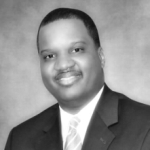 CARLTON P. BYRD, D.MIN., is Senior pastor of the Oakwood University Church in Huntsville, Alabama.